Minneapolis is growing. For the first time since the 1970s, the population has reached more than 400,000 people, and folks are struggling to find places to live. There’s a lot of economic pressure to demolish old homes and develop apartment buildings and condominiums to make space for these new residents. This influx of people threatens to harm the unique neighborhoods that attracted them in the first place. But there’s another way forward. The City Council is considering allowing accessory dwelling units (ADUs) in Minneapolis. They’re also known as granny flats, mother-in-law apartments, and carriage houses, but ADUs are essentially self-contained living units on the lot of a single-family home. An ADU could be detached from the main structure, attached, or internal (like an attic apartment). ADUs have been cropping up in cities like Seattle, Portland, and Denver in recent years. People demolish old buildings not because of any animosity toward preservation, but as the result of an economic calculation. Allowing ADUs would change that calculation in favor of existing buildings. Historic homes in urban neighborhoods would become more useful. Seniors could house an on-site caregiver. A family could offer a separate living space to relatives. Homeowners could earn extra rental income. With these additional options, preserving the home would seem more attractive. The City of Santa Cruz has developed a manual for ADUs with guides and prototypical designs for interested homeowners. Minneapolis could design something similar to make sure that everyone feels empowered. The average household size in Minneapolis has decreased from 3.08 in 1950 to 2.23 in 2010. Many of the large, old homes (often built by brewing barons and milling magnates) are occupied by smaller families of more modest means today. If we’re going to preserve these homes, we have to allow homeowners to use them efficiently. It’s clear that ADUs are part of a plan to let Minneapolis grow toward the future while respecting the past. With responsible regulations and appropriate incentives, Minneapolis can make preservation practical and even profitable. Also, from the point of view of adding units, I built a new garage 5 years ago and investigated an ADU above the garage as part of the project. I live a block from light rail and figured it made sense to have a small apartment unit. Learning from the city that zoning doesn’t allow ADUs and I’d need signatures from most of my neighbors was a pretty big impediment (and I get along with my neighbors). As well, both contractors we got bids from were familiar with the city and I got a lot of confusion about rules for ADUs, like that it was now illegal to build a stairway in my garage. I considered framing in the unit and roughing in electrical and plumbing, but not knowing if this would ever be legal, I just wasn’t willing to take the risks. Now I have a new garage and retroactively adding an ADU is far less likely. Hopefully in the future this will be an easier decision to make for homeowners like me when that garage replacement job comes up. I understand that some of the advocates for this change are running into resistance from members of the City Council, I have heard it may be difficult to get 7 votes in support. I find it hard to understand since the council has been consistently pro density when justifying votes on many large scale projects that involved demolition of venerated buildings. It would be good if someone could find out and publish where the resistance is. It is a confusing situation when some neighborhoods are forced to accept large, mega block redevelopment and disruptive demolitions because we need density, and other neighborhoods are protected form any infringement on single family character. Policies should be fair and balanced throughout the city. This is a great way to discuss the need for density. Density should be used to protect older already built structures, and green space / farmland around the urban fringe. If density was promoted this way I’m sure there would be less push back, however this means density advocates need to accept some preservation principles. We have the ability to do both, and the 2 positions work well together. The City needs to come up with some real policies on facilitating density. For example targeting underused space such as the new wedge on 24th and Nicollet. A one story building, this is would be a perfect candidate for adding housing and offices above, during the renovation, the city could use some of its public development budget to provide attractive loans for sensible development (as is already done for much of the construction we see). 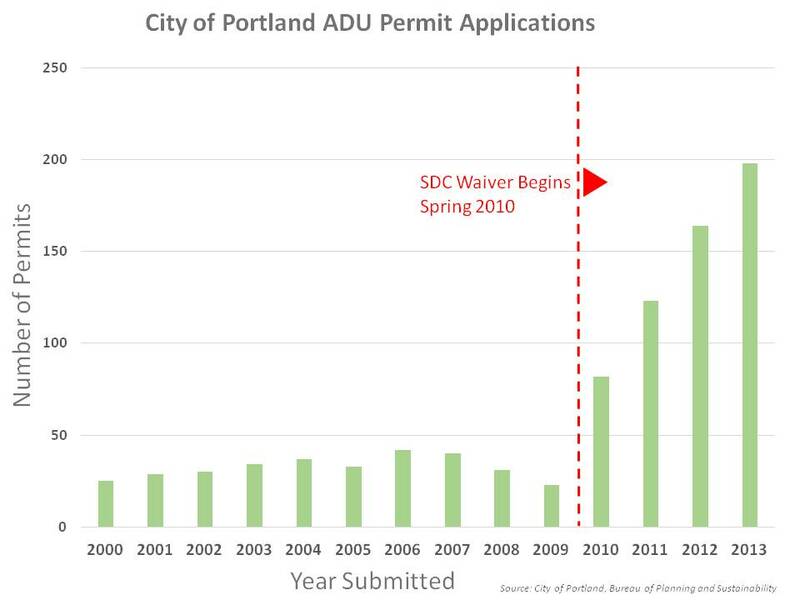 I recently read the city is considering requiring new ADU’s to be owner occupied, and may focus on new construction rather than also facilitating conversion of existing underused space. If this is the case then all new construction of apartment buildings should require the developer to live on site. If we need density, the city should be encouraging people to add living space wherever possible, especially low impact methods like ADU’s. It would also be nice to see a comprehensive study of housing in the city and real planing, instead of the reactive, case by case basis we currently endure. I have a hard time even seeing the arguments against ADUs (even if I think their merits are sometimes overblown and bristle at some preservationist language). What are people saying in opposition? Just anti-renter bias or what? Loss of privacy in neighboring backyards, potential loss of light, stormwater concerns from larger/additional structures, neighborhood parking issues, overcrowding, impact of renter lifestyle within mostly/wholly single family blocks, etc. (this is taken mostly from online comment sections and hearing random folks respond when I bring it up). In my mind, most of those concerns sound exactly like those brough up when larger structures are proposed. in Powderhorn at least, allowing ADUs would be keeping our historic character. You can see quite a few tiny houses that used to be backyard/alleyway houses, and then something happened to the big front house and now there’s just a tiny little house way at the back of the lot. Not to mention lots like mine where the garage (former barn, complete with hayloft) is big enough to be a house on its own. I love ADUs. I want to build one in my backyard. They’re great on so many levels, and allowing preservation of homes or neighborhood character, if that’s your thing, is one of the many selling points (the fact that there are so many positives to so many constituents and advocacy groups makes them a no-brainer IMO). Yes, there’s been a jump recently after some policy changes, but we’re talking maybe a couple hundred a year, and less than 1,000 in existence in total. It could be a very long time before Minneapolis sees over 100 permit applications in a year, which means they will be a minor factor in easing the housing crunch in our city. There’s nothing wrong with that. They can be tricky, expensive, and they need the right lot/location/occupant/finances in place to work, but they’re still a valuable tool in the box. One question for preservationists – if ADUs are a positive thing (for adding people, limiting impact, providing income, etc), is there a tradeoff in how strict the HPC rules on demolition requests? ie we’ve now given property owners the ability to make buying and maintaining historic properties more financially feasible, so we don’t need the power of government to intervene as often as they might otherwise do. Just a thought. I’m not aware of “a lot” of this. There are a few selected opportunistic examples of this, but a lot? There is obviously 2320 Colfax (two dilapidated old homes that just happened to be under site control of one person and zoned R6). I can think of one on Lagoon between Hennepin and Lake Calhoun. How many others you can identify? Now, that’s not an argument against ADUs, but I do think it plays into a mis-guided sense of crisis on the part of a few preservationists. There is an obvious large amount development going on, Max is 100% accurate that there is “a lot of pressure”. In addition to this pressure, it is important to loosen up the regulations on ADU’s while the interest rates are low, demand exists and the economy is strong. The interest rates being low is a big factor used in justifying many of the larger developments so it should apply to smaller projects as well. I came up with quick list off the top of my head. These are projects that either demolish existing useful buildings, historic buildings or eliminate useful open or green space. I’m sure with some research more could be listed. I am only mentioning projects in Minneapolis, and housing developments. To keep it relevant to ADU’s. Not included are other types of projects that are for other uses but also significantly alter the landscape. The star tribune / Metrodome demolition would be an example of this although arguably that has to do with housing as well. Please note this is not an argument against “density”. I am not trying to discuss the merits of the projects, Just pointing out their existence. 13. Franklin at Portland – loss of peace house and old housing stock. 14. 1800 west lake, Apartments illegally dumping water into lake Calhoun. Is 22+ projects enough to be considered “a lot” ? There are many other projects in various stages of completion including superior plating, the new high rise near Loring park (I wish it was taller), construction along the green line, and the McMansions in and around ward 13, the recent building boom on the Midtown Greenway etc. etc.. This indicates “a lot of pressure” on the housing market to me! Again, this is just off the top of my head. I love the concept of ADU’s. I’ve been around the block enough in impacted neighborhoods to know where some of the reservation may be coming from: the fear that the good intentions of this ordinance will have unintended consequences if slum lords can take advantage of it to eek out more income with attic, basement, and garage apartments that minimally meet code. Granted, if they were only allowed in circumstances where the owner lived onsite, that would address some of these concerns. However, what about when the structures are sold and the next owner is an absentee landlord who illegally rents the units? That is the fear I am hearing out there – the exploitation by slum lords. It is a very valid fear, I still would like to see this happen, but it needs to be very carefully crafted. Doesn’t that already happen with formerly owner-occupied duplexes and triplexes already? I know several people within a block or two of our place finished attics on duplexes to live in themselves, without any permitting, at the same time that non-occupant owners were struggling and failing to get permits to finish attics on nearly identical buildings (some of which had previously been illegally sublet to multiple people by previous slumlords). Then the market crashed and owner-occupants got foreclosed or sold because they couldn’t get loans for upkeep, and the new owners are using those buildings as triplexes, I assume legally. Our next door neighbors are in that exact same situation. “Barely up to code” is better than not up to code, right? I just don’t get the sentiment. When rents get so high, people crowd into rentals illegally anyway. Upgrading the infrastructure to actually be for that density can only make it better.